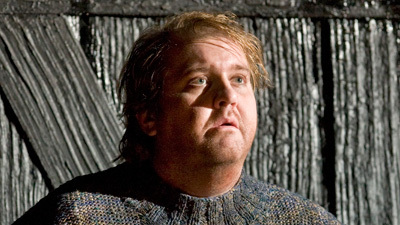 Tenor Anthony Rolfe Johnson gives an intensely moving performance in the title role of the outsider fisherman persecuted by an entire village. Renée Fleming is Ellen Orford, the schoolmistress who stands by him, and Alan Opie sings the sympathetic Captain Balstrode, whose advice to Grimes brings the story to its tragic conclusion. James Conlon expertly leads the Met Orchestra and Chorus through Britten’s rivetingly dramatic and atmospheric score.